Advanced Dietics T6 Fat Incineration has been designed to help support your healthy weight and body tone goals.It contains a range of ingredients such as Caffeine, Green Tea Extract and Bitter Orange Peel. These botanicals help to support energy levels, boost metabolism and lessen sugar and food cravings.Advanced Dietics recommend taking one to two T6 Fat Incineration capsules daily. Please note that due to their high caffeine content they are not suitable for pregnant or breastfeeding women nor children. 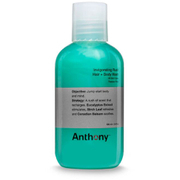 Formulated to deep cleanse and remove surface impurities, the Anthony skincare for men Glycolic Facial Cleanser cleans whilst gently exfoliating dead skin away, for cleaner berak-out free slom. The 4.9% glycolic cleanser includes Vitamins A, C and E, protecting skin from free radicals and environmental damage throughout the day after use. Paraben free, the non-foaming cleanser contains calendula, chamomile and aloe vera to soothe skin, making it one of the kindest glycolic products yet. 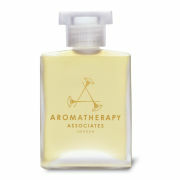 Working to deeply relax and rejuvenate the body during bathing, the Aromatherapy Associates De-Stress Muscle Bath and Shower Oil is a must have. Containing rosemary, black pepper, lavender and ginger which relax the muscles after a long day, this oil will leave you feeling de-stressed and replenished. K.D. Directions of use: Add a capful to your bath or smooth it over your body before showering. There is enough oil for approximately 20 experiences. Follow with appropriate body wash and moisturiser if required. Reveal radiant looking skin with the AromaWorks Body Brilliance Exfoliate, a detoxifying scrub that works to buff away dirt and impurities to leave skin feeling softened and revitalised. Harnessing the power of 9 BioActive ingredients, the natural body scrub seeks to encourage superior nutrient absorption on a cellular level to deeply nourish skin. Formulated with Pink Himalayan Sea Salts, it contains 84 trace minerals that purify and refine skin texture, whilst Neroli and Mango Butter add essential fatty acids and stimulate cell renewal. Blended with Bergamot and Lavender, the sweetly citrus scented exfoliator unveils brighter and regenerated skin. Suitable for all skin types. Treat skin to extreme nourishment with the Body Finish Cream from AromaWorks. The rich body cream is designed to hydrate and revitalise the skin. Enriched with a blend of Cocoa Butter and Aloe Vera, the cream works to instantly deliver moisture to skin, whilst also conditioning. Your body will be left with a sweet citrus and herbal scent of Bergamot, Lavender and Neroli. Experience an invigorating cleanse with AromaWorks Inspire Body Wash, an energising blend of essential oils that work in synergy to help clean and refresh your skin. Infused with an uplifting and warming scent powered by Black Pepper, Lime and Bergamot, the body wash gently cleanses away impurities whilst delivering therapeutic benefits. Skin feels fresh and smells decadent. Suitable for all skin types. Experience a relaxing cleanse with AromaWorks Calming Body Wash for Men, a hydrating blend of essential oils that work in synergy to help clean and refresh your skin. Infused with 10 BioActive ingredients and a citrusy, spicy scent powered by Mandarin and Bay, the body wash gently cleanses away impurities whilst conditioning and invigorating the body. Skin feels fresh and smells decadent. Suitable for all skin types. Relax and unwind with the AromaWorks Nurture Bath Oil, a calming blend of natural essential oils to soothe both the body and mind. Offering a sensual uplifting aroma, the oil combines a harmonic blend of crisp May Chang, sweet Roman Chamomile and delicate Sandalwood with Organic Coconut Oil to leave skin feeling intensively nourished and soothed. 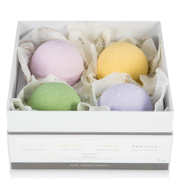 Add a splash to your bath and release the stresses of the day to discover a sense of calm wellbeing.